Mary Kathleen Norris, LPC, has been working with children and families for over two decades in the Fort Worth/Dallas area. She is a Licensed Professional Counselor in private practice, specializing in Cognitive Behavioral Therapy for patients with Obsessive Compulsive Disorder and related Anxiety Disorders. In addition, she has extensive experience in treating patients with Trichotillomania, Compulsive Skin Picking, and other Tic Disorders. Kathleen holds a specialized post-graduate certification in Behavioral Treatment of OCD from the IOCDF (International Obsessive Compulsive Foundation), having completed this certification at McLean Hospital in Boston in conjunction with the Harvard School of Medicine. Kathleen is an active member of the IOCDF, the TLC (Trichotillomania Learning Center), the ADAA (Anxiety Disorder Association of America) and the Tourette Syndrome Association. 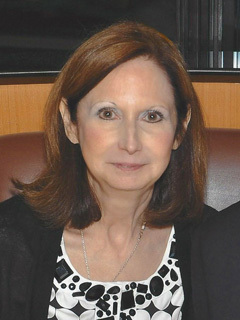 Kathleen speaks annually at multiple national conferences on OCD and related Anxiety Disorders. Local presentations include the Tarrant County Psychiatric Association, Tarrant County pediatric Association, Cook Children’s Hospital, John Peter Smith Hospital psychiatric residency program, Texas Christian University and local school districts. Kathleen is a founding member of OCD TEXAS, a state-wide nonprofit organization with the mission of support and advocacy for sufferers of OCD. Kathleen is an Adjunct Assistant Clinical Professor for the University of Texas in Arlington. She lectures and is a preceptor to the nurse practitioners in the PMH-NP program in the School of Nursing, instructing them on Cognitive Behavioral Therapy for anxiety disorders. Her work with obsessive compulsive children has been featured in patient care segments on The Discovery Channel, Nightline, CNN and local radio and television. Kathleen is a Christian counselor who studied theology at Liberty University in Virginia. Married for 38 years to her high school sweetheart, she has two children and three delightful grandchildren. For more information about Kathleen’s professional experience, download her resume here. Copyright © 2012 DFW Center for OCD & Anxiety. All rights reserved.